I accidentally clicked 1 star, but it should be 5. This book was gripping from the start. I just couldn't put it down. When I bought it I didn't realise there was book 8 - immediately bought it and binge read both! I can't wait for the last one! The last book was heartbreaking - the part about Violet and Ryn’s family losing someone - and I was so hoping for a plot twist. This book gave that plot twist. Em and Dash make a lovely pair, argues a bit, obviously likes each other although Em still doesn’t want to give into that. I am looking forward to read the next book. I am curious about who the silver-cloaked figure is and what really happened to Em’s mother before she was institutionalized. Amazing! Glass Faerie is the 7th book in the Creepy Hollow series, but it is the beginning of a new trilogy. The 1st trilogy is Violet's story. The 2nd trilogy is Calla's story and takes place 10 years after Book 3 ends. Glass Faerie is the exciting beginning of Emerson's story. ... And Wow, what a beginning! It takes place about 17 ears after the end of book 6. We are introduced to some new characters and reunited with some old friends. Emerson grew up in the human world, but soon finds out there is a magical realm. Her journey is full of new experiences; some are intriguing, yet many are frightening. i couldn't put it down as I wanted to know what was going to happen next. As in true Creepy Hollow fashion, we are left with as many questions as we have answers. So, of course I am left anticipating the next part of the story. I recommend this book, and of course, the entire series to anyone who enjoys a fantastic story in the Fantasy genre. If you haven't read the previous books, I strongly encourage you to start at the beginning with Faerie Guardian. 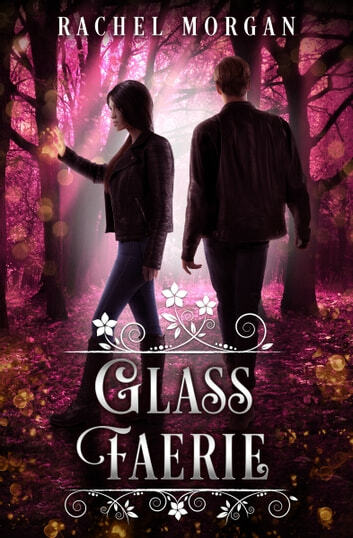 If you have read the first 6 books in the Creepy Hollow series, then you will be thrilled with Faerie Glass. I know I Was. Great YA but also for us older readers. A very good series. This one is about Em and Dash new younger character along with the old character. Even though it is a YA series I really enjoy it.It is very interesting, intriguing, With Drama, action and slight romance. Patiently waiting for the next. Great read! Rachel Morgan is a great author and her work is awesome!